Our essentials course for users who need to be able to use and understand EXCEL 2007, this course will teach participants all the advanced features and functions and also show you how 2007 is compatible with later versions. You get your first look at Excel and all you see are little blocks, rows upon rows and column upon column. You feel something beginning in the pit of your stomach and you remonstrate with yourself: You are sure you have bitten off more than you can chew this time. Stop. Breathe slowly. Relax  its not half as intimidating as you initially think. Welcome to the workshop on Excel 2007  Essentials. Excel is a spreadsheet application, this is where you would create, maintain and manage your household budget. In a working environment excel can be used across the board from human resources to accounting and credit control. Excel is used to analyse numbers, keep track of data and present information in a spreadsheet. As this is the Essentials workshop we strongly advise participants to attend the Advanced workshop on Excel 2007 for a fully rounded learning experience. As always, this is a practical workshop where participants will practice what they learn on computers, we also provide learners with a pre workshop review form to enable the trainer to see what functions of excel students are already using and what aspects they wish to learn or know more about. Excel 2007 has a new interface and larger worksheet and workbook sizes. It also has powerful tools to help you format your data into usable information. Some of the objectives of the Essentials workshop are: To differentiate between worksheets, workbooks, rows, columns and cells; enter values and labels; use and copy formulas; learn the basic functions and format text and numbers. 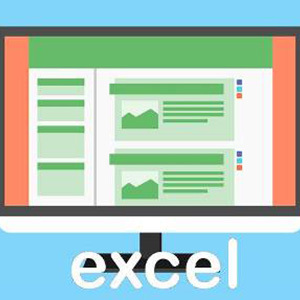 If you have used Excel before, you will notice the change in the interface, all the menus and toolbars have been replaced with a ribbon interface, each tab on the ribbon contain selections, commands and features. The screen tip provides information about the selection. A worksheet is a collection of cells, text, data and calculations are entered into these cells. TIP: Choosing the proper format to save your file: Click the Office button and then select Save As. To save in Excel format, choose Excel workshop, if you need the file to be accessible in previous formats, choose Excel 97-2003 Workbook. Use Control + S to quick save and to save as a PDF, add the PDF add-in and save. Our workshop begins with learning how to create a worksheet and enter data. Worksheets are created with a purpose, usually for numbers. Sometimes text is entered and a useful command for text to keep the column alignment is to wrap the text. We take a moment to explain the new format as well. Most of the workshop focuses on building formulas which is the backbone of Excel, we will also teach participants to edit and copy formulas. The next part of the workshop focuses on using the functions of Excel and students will learn the basic Excel functions. We end off our workshop with some time saving tools and formatting. This course is intended for novice users of Microsoft Excel.